You are home sweet (new) home at last. After a long day of moving, don’t go all in and try to unpack everything the first night. This day is all about setting up the basics and getting adjusted to your new home. Focus on a few key things your first night home to ensure you have a basic level of comfort and are well rested for the unpacking in the days ahead. After the movers have unloaded all the large furniture, inspect it to make sure nothing was damaged during the move. If you believe something was damaged, let your movers know immediately so you can file an insurance claim. This is unlikely, but accidents do happen from time to time, so choosing a mover with a good insurance policy is important. Arranging the living and dining room furniture right away can help to establish a sense of normalcy in your new surroundings. If you are moving with kids or pets, they might have some difficulty adjusting, and setting up furniture is a good first step in making this strange new place feel a little more like home. It’s a good idea to have a rough idea of how you want your furniture layed out before you move. 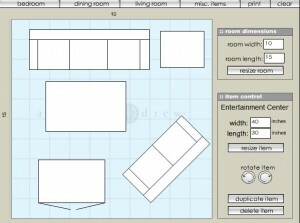 To avoid the extra work of re-arranging a room multiple times, try using a layout website such as American Drew that lets you enter the dimensions of your room and virtually test out different furniture layouts. It’s easy to forget how important basic utilities are until we reach for a glass of water and the faucet is dry. Make sure your water and electricity is working as soon as you arrive so you can contact the utility company to switch it on if needed. Only the bravest of the brave would try spending a night without electricity in the Dallas heat, so do this to make sure your first night home is not in a hotel room. After all you’ve done today, don’t even think about cooking and get some takeout, you’ve earned it! Also, if you decide to follow none of the advice in this blog and skip directly to this step, that’s alright too. Being well-rested will make the next few days of unpacking go by a lot easier. Garrett’s Moving and Storage has 20 years of experience in moving to Dallas and across the country, and we have an A+ BBB Rating so you know your belongings will be in good hands. We also have a best-in-the-industry insurance policy. Contact us today at 972-487-5843 for a free estimate or click here to request a quote online. 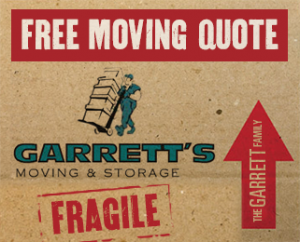 Keep checking back for more moving and storage tips from Garrett’s Moving and Storage, one the premier Dallas moving companies.